Welcome to my visual diary of the beautiful hummingbirds I have photographed since 2010. After the untimely death of my best friend and Fiance, Ken, I began focusing my camera on hummingbirds as part of my grief therapy. Ken loved hummingbirds. He had multiple hummingbird feeders hanging from his apartment front porch and each day dozens of hummingbirds would visit the feeders and empty them by dusk. After Ken’s death, I gave one hummingbird feeder to each apartment tenant so that they could continue feeding the birds and I kept one feeder to put in my backyard. I had been feeding the finches and doves in my backyard for years, but I did not have a hummingbird feeder. Ken’s hummingbird feeder felt like a sacred gift in my garden and I anxiously awaited the first hummingbird to find the feeder. It took a few days, but the first visitor was a male Allen’s hummingbird and I started taking pictures of him. I soon realized that photographing a moving hummingbird was not an easy thing and I spent many hours and weeks practicing my craft. 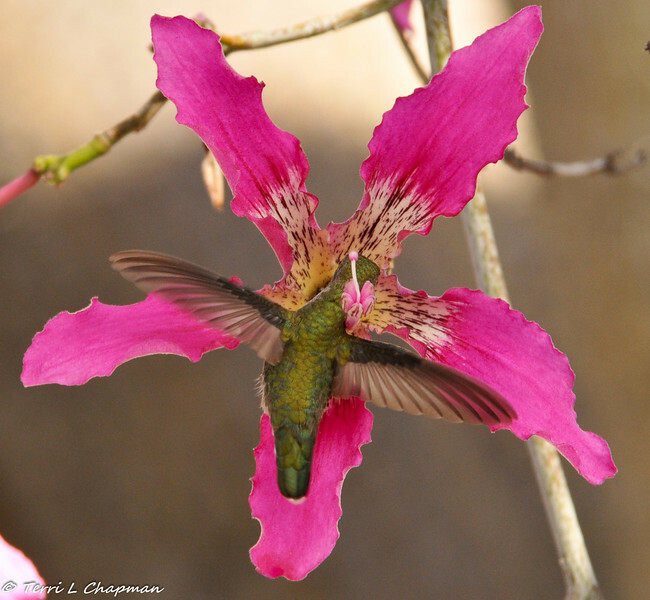 My time spent with hummingbirds created my passion for birds and bird photography. Legends say that hummingbirds float free of time, carrying our hopes for love, joy and celebration. Hummingbirds open our eyes to the wonder of the world and inspire us to open our hearts to loved ones and friends. Like a hummingbird, may you aspire to hover and to savor each moment as it passes, embrace all that life has to offer and to celebrate the joy of everyday.